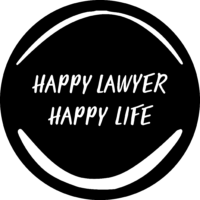 Surviving your first year as a lawyer! I still remember my first day in a law firm. I ended up being sent to Court an hour in! I had never been to a Court before and can honestly say I had almost no idea what to do!! But I survived and have survived many an awkward moment thereafter too. In this week’s blog, Solicitor Freya Gardon shares her learnings on surviving that first year in ‘law land’ and there are some really great tips here for all of us- first year or not! You have done it! You finally got admitted. After four plus years of University, answering mock exam questions to advise Bill on whether he can sue Woolworths for slipping on an avocado, developing a causal coffee addiction, and honing your skill to make a meal out of anything, it is time to be a proper lawyer! The end of University is a triumphant and exciting time. Finishing a law degree is no mean feat, and by the end I think most of us feel ready to get stuck into real world practice. But with leaping into your first year as a lawyer comes real responsibility, work which can seem daunting, and even at times overwhelming. It is also a wonderful opportunity and time to learn, and embrace feeling comfortable with not knowing the answer to everything! 1. You won't always know the answer, and that is ok! One of the hardest parts about your time after admission is learning to say you don’t know the answer, or what to do, and asking for help. By the end of University, we feel like we are nailing those advices and mock interviews (sort of!). Our confidence is up, and we are ready to unleash our new-found skills on real clients! Something that can be a challenge is making the transition from University into a real-world space, where we don’t always know the answer, and we do not feel as confident in our choices (because they will affect someone’s life!). As a part of this transition, it is important to know when to ask for help, and how to go about it. Push the work as far as you can, and then reach out when you need to. You will probably make one, or two, as we all do! And the good news is, usually they can be fixed. The important thing is to not let them get the better of you, and to use them as an opportunity to learn. It can be easy to dwell on what we have done wrong, rather than what we are doing right. My rule (which I am not always wonderful at following!) – allow yourself the day to feel upset, embarrassed, annoyed, whatever it is. Then, ask for feedback from a mentor or your boss, understand what went wrong, and take the time to plan what you will do differently next time. Doing this will mean you hopefully move onward and upward quicker than what you otherwise might have. You might surprise yourself! No one learnt by being perfect on a first attempt, and part of your first year as a lawyer is to have a go! One of the great things is usually someone will be checking in what you are doing before it matters – take advantage of that by giving it a go and learning from what changes. Think about how you can take a task as far as possible before you get your work checked. Have you drafted that document to its fullest extent, and checked your own work twice? Checking your own work at least twice before someone else reads it is my golden rule – it will force you to slow down, and make sure its accurate. I promise she is not making me write this but having Clarissa as a mentor was the best thing to happen to me as a part of becoming a lawyer. I have been lucky enough to never feel alone, or so stuck on a decision because I have always had Clarissa to reach out to. Not only can she answer my legal questions, she has also given me the most wonderful career advice and helped me make decisions that I would have otherwise found overwhelming. 5. It's a marathon, not a one-year sprint. When you feel like you don’t know anything, and you are constantly learning, a year is a long time! Make sure you slow down and appreciate that your learning journey is long one. You will not know the answers overnight, and more than likely you will feel frustrated at times by how long it is taking you to understand what you need to. If you rush through this process, you more than likely won’t enjoy your time as a baby lawyer! Instead, slow down, enjoy the process, and make sure work does not consume your life! There you have it! They seem simple and pretty obvious, but when you are working away, learning, and at times feeling stressed, they can be easy to forget! Hi! I am Freya a Collaborative Family Lawyer who has worked as an essential member of the Brisbane Family Law Centre team for nearly a decade. Now four years post admission, I work closely with our Director Clarissa Rayward in upholding and developing our firm’s fresh and sincere approach to family law. I have been lucky enough to work with Clarissa since 2010, prior to even starting my law land journey. In that time, I have enjoyed working not only as a lawyer, but as a content writer, automation bot builder, and now, a legal product developer. Looking to expand my work in law, I am currently in my final year of Psychology at the University of Wollongong, and can’t wait to see how I can use these skills to continue assist client’s in a creative way. I love working with a team that do things differently, and Brisbane Family Law Centre has always done just that.